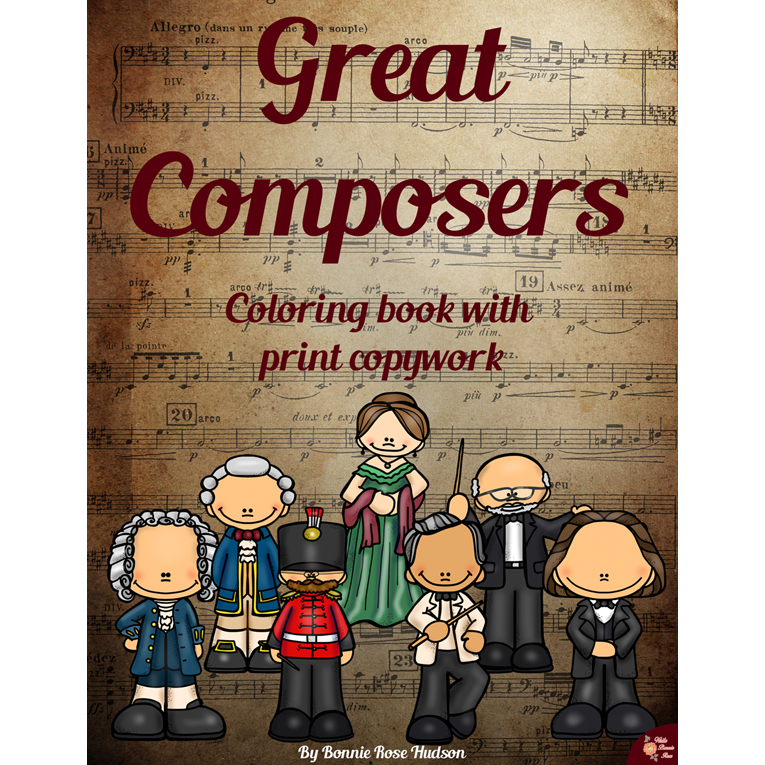 Introduce your students to the lives and legacies of 35 great composers with these 35 coloring pages and additional 35 pages of large print copywork to trace that is perfect for young writers. 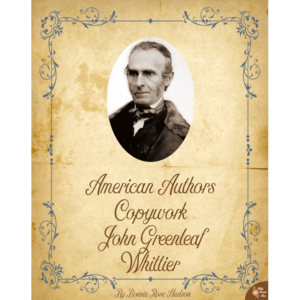 See a preview of Great Composers Coloring Book with Print Copywork. 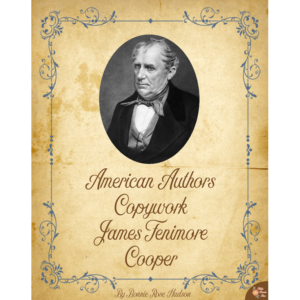 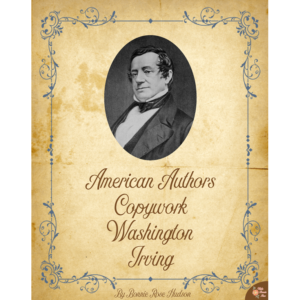 Great Composers Coloring Book includes 35 coloring pages with an additional 35 pages of large print copywork to trace that is perfect for young writers. 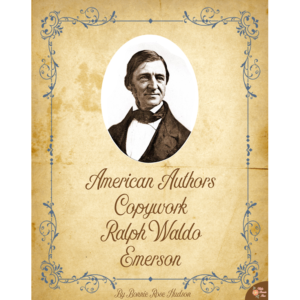 Introduce your students to the lives and legacies of Anderson, Bach, Beethoven, Bernstein, Bizet, Brahms, Britten, Chopin, Copland, Debussy, Dvorak, Elgar, Gershwin, Grieg, Handel, Haydn, Joplin, Kodaly, Liszt, Mahler, Mozart, Mussorgsky, Orff, Prokofiev, Rossini, Schubert, R. Schumann, C. Schumann, Sousa, Strauss, Stravinsky, Tchaikovsky, Vivaldi, Wagner, Williams, with this 73-page coloring book.